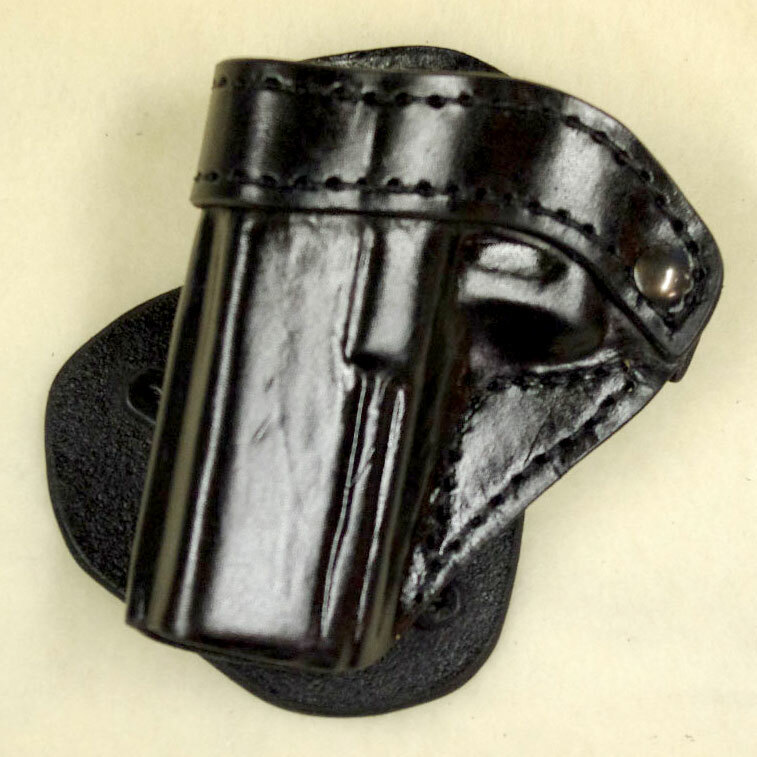 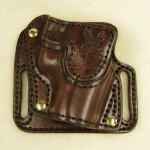 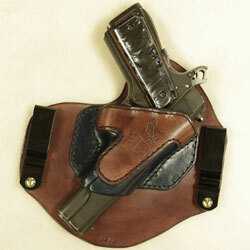 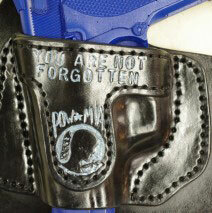 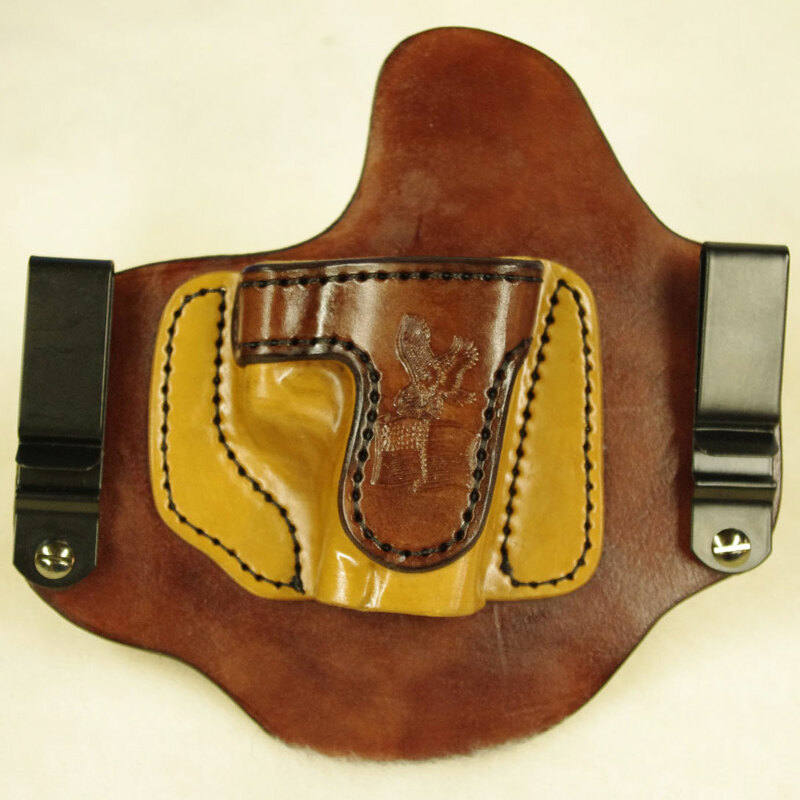 American Holster Company is excited to introduce our new exotic line of holsters. 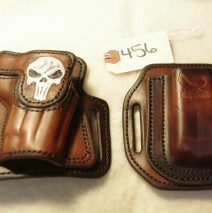 Please call before placing the order to be sure I can accommodate the order. 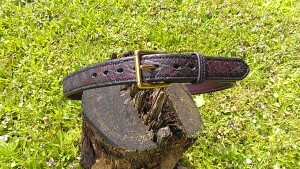 As part of this series we will be offering serial numbered exclusive pieces that we will be making to promote the line. 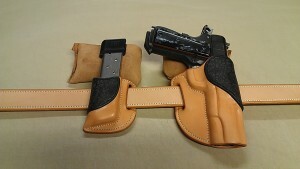 Serial # 02 is a midland Set for a Sig Sauer 1911 Nitron 5″ This set is DK. 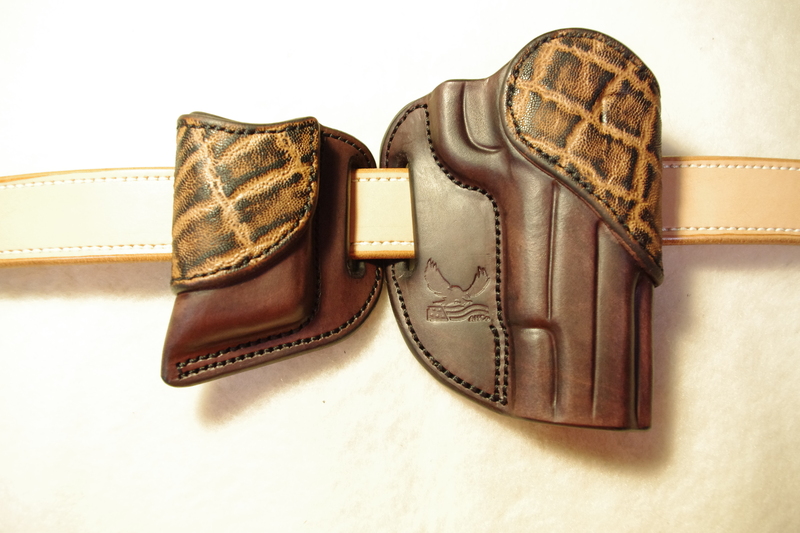 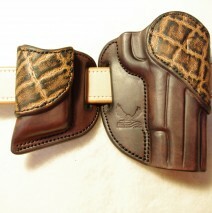 Mahogany steer hide from Herman Oak and chocolate Elephant overlay. 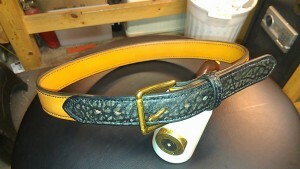 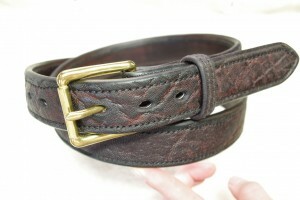 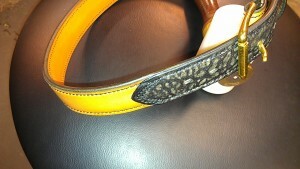 We also offer Overlay options for belts.